BOWLS: This week's Airlie Beach Bowls Club notes. Club Competitions: Men's B Grade Pairs was played in its entirety this last weekend. Round 1: Rick Brunell and Russ Jackson defeated Ash Warland and Terry Clarke 20-18, Graeme Herd and Steve Tattam defeated John Fielding and Stewart Clanachan 21-14, Merv Stewart and Neil Moore defeated Jim Cairns and Paul Osborne 25-23, Peter Barrett and Wolfgang Keppke defeated Nick Fernbach and John Beach Jnr (2018 defending champions) 27-17. Round 2: Rick Brunell and Russ Jackson defeated Graeme Herd and Steve Tattam 20-13. Neil Moore and Merv Stewart defeated Peter Barrett and Bob Fenney (Sub) 26-25 in a tie breaker game. Spectators watching that game were well entertained. 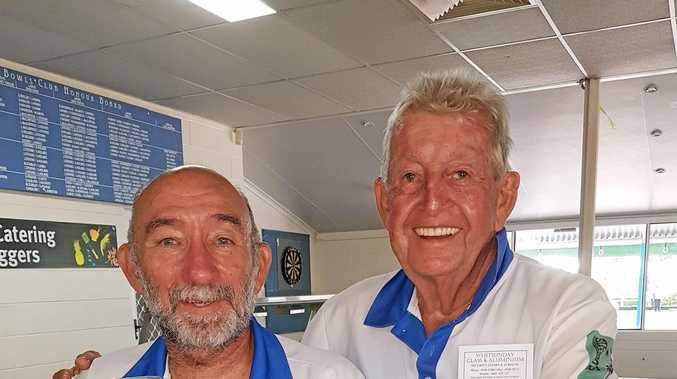 Neil and Merv went on to play in the final round but were defeated by Rick Brunell and Russ Jackson who are now the B grade men's pairs champions for 2019. Ongoing: Men's A grade singles: John Fielding defeated Graham Herd 25-17. Rod Howard defeated Wolfgang Keppke 25-22 and Paul Durnsford defeated Rick Galea 25-20. Men's senior singles David Dias defeated Tony Whitehorn 25-12. Neil Moore defeated Jim Cairns 26-20. Men's A grade championship pairs, correction: David Dias and Kevin Jewell defeated Peter Barrett and Steve Tattam 21-17. Many more games to be played in that competition. Ladies Club Competition Games: Singles: Ladda Purdie defeated Betty Nicolle 25-13, Ladies Pairs: Jill Spencer and Lane Telford defeated Lu Rogan and Doreen Peadon 23-17. Betty Nicolle and Margo Stanley defeated Jill Spencer and Lane Telford 31-14. The ladies Tuesday social bowls results Di Dobbins and Margo Stanley defeated Lyn Graham and Elaine Kippen 19-12. Wednesday Social bowls filled three rinks. The closest game result was team Louise Mahony, Betty Whitehorn and Graeme Herd who defeated Lu Rogan, Rick Brunell and Rick Galea 23-22. Saturday scroungers was won by John Beach Snr. The grand final for scroungers has been postponed due to pennants games starting on the weekend of April 131-4. Scroungers co-ordinator Duncan Smith will advise the new date for scroungers grand final. 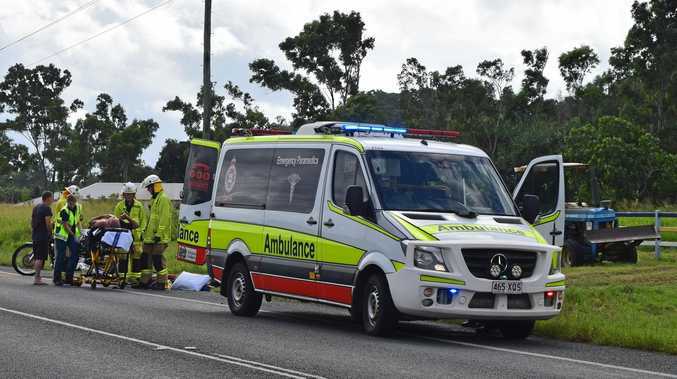 Airlie men have pennant teams in Division 2, 4 and 5. Sunday social bowls fielded three rinks, numbers being down because club competitions were being played. The closest social game of the day was Ash Warland and Bob Spees who defeated the father and son John Beach X 2 team 24-23. Other games were great fun and scores did not indicate the good bowls played by all participants. Thanks to the volunteer selectors that make up the teams each Tuesday, Wednesday and Sunday.